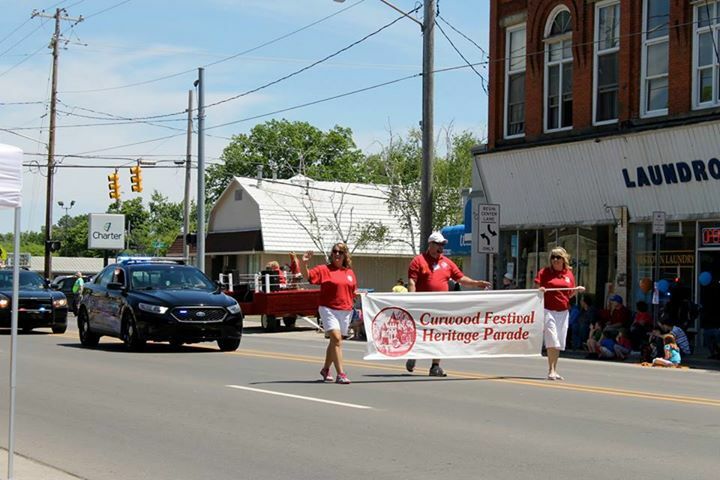 The 35th Annual Curwood Festival Heritage Parade which kicked off on Saturday, June 6 at 2:00 p.m., delighted the crowds as floats, marching bands, clowns, horses, antique fire vehicles, dance groups and a wide variety of revelers celebrating the theme of Rediscover Curwood took over Main Street between Dewey and Chipman Streets. 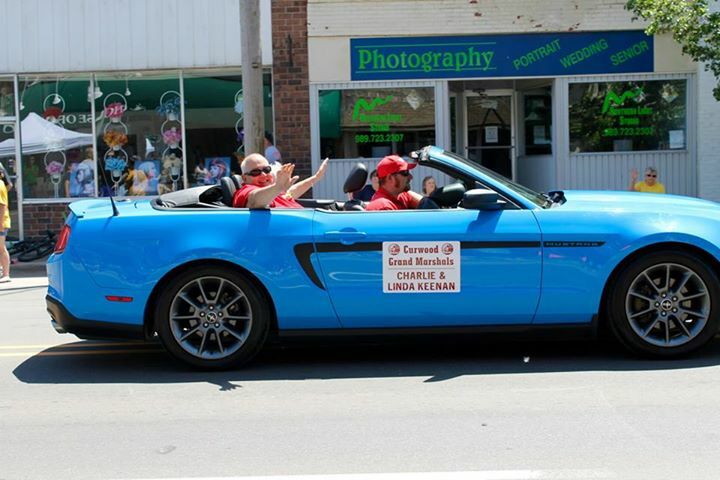 Presiding over this year’s parade were Grand Marshals Charlie and Linda Keenan who have worked together to reconstruct and reopen the Lebowsky Center after a fire partially destroyed the building. The couple is also involved in Kiwanis, The Shiawassee Arts Center, The Child Advocacy Center, Memorial Healthcare, DeVries Nature Conservancy and the Shiawassee County 911 Board.